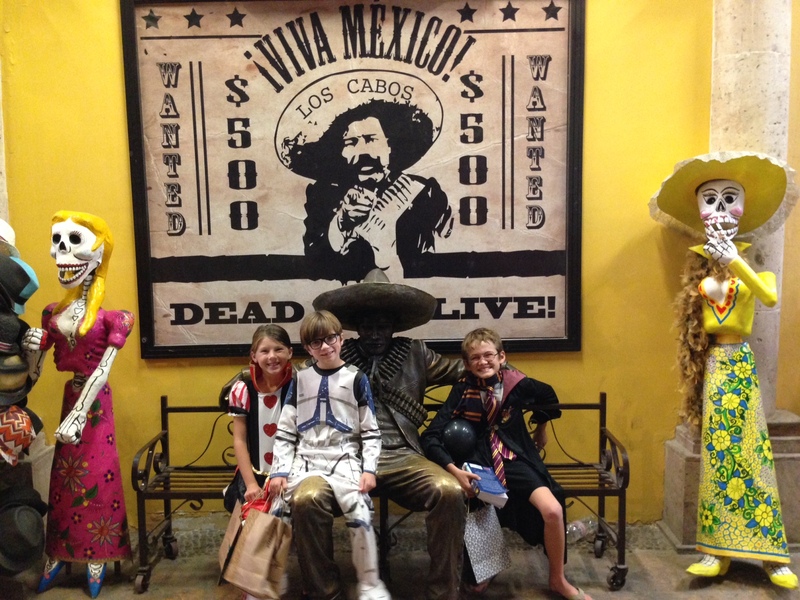 Home » Cabo San Lucas » Celebrating Halloween in Los Cabos Mexico with Trick-or-Treat Fun! 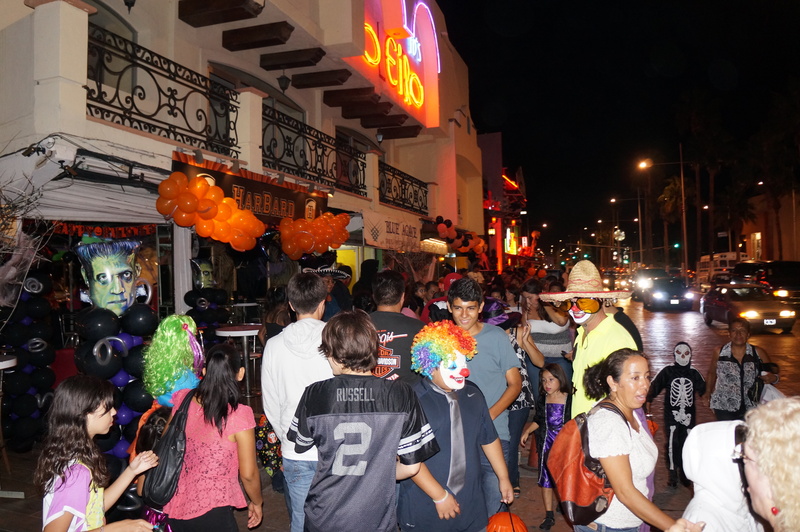 Celebrating Halloween in Los Cabos Mexico with Trick-or-Treat Fun! Every Halloween has always been the same. We invite all of our close friends and family over for a chili dinner, and the kids spend the night running around the neighborhood collecting giant bags full of candy. 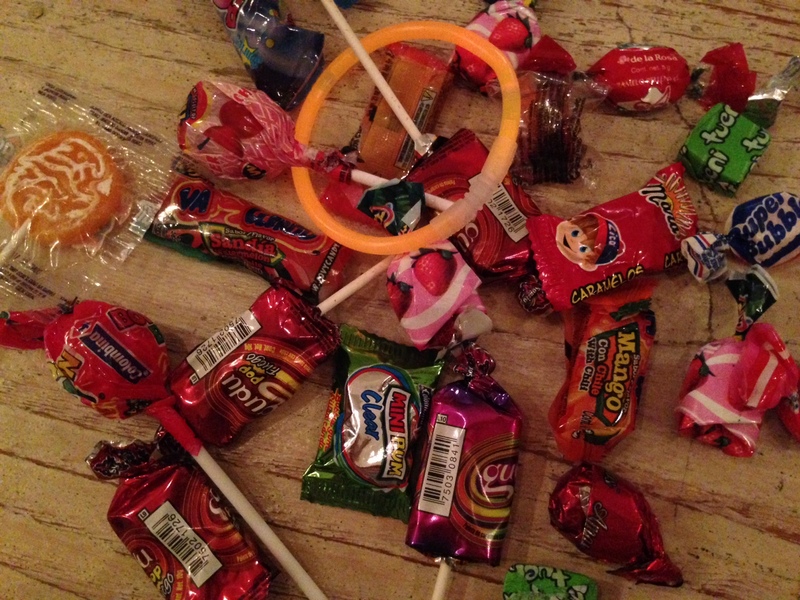 Then the next day almost all of the candy is either donated or given away due to my older sons severe food allergies. 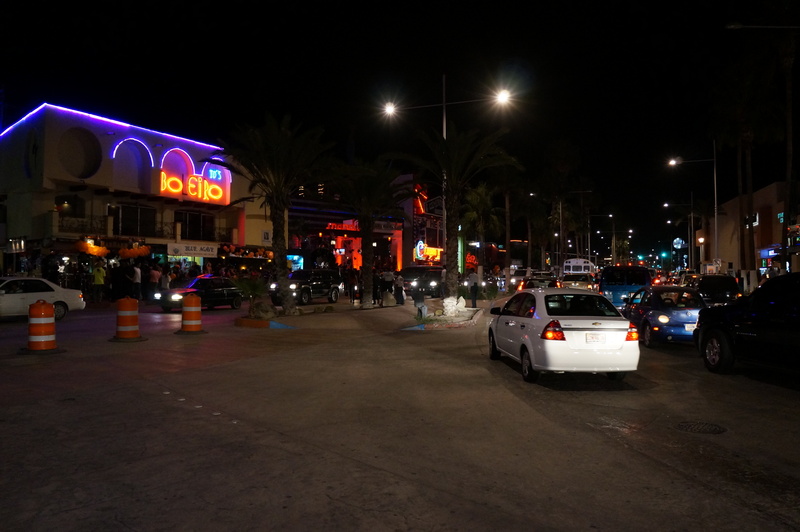 This year, we mixed things up by heading to Los Cabos Mexico for a week during Halloween. 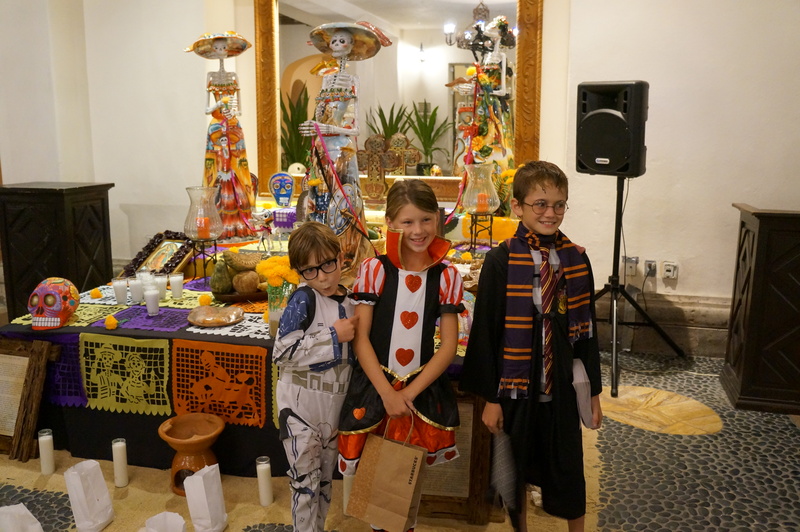 I prepared the kids early, that they would be celebrating Halloween, in Los Cabos Mexico, and for them not to expect to do their traditional trick-or-treating. 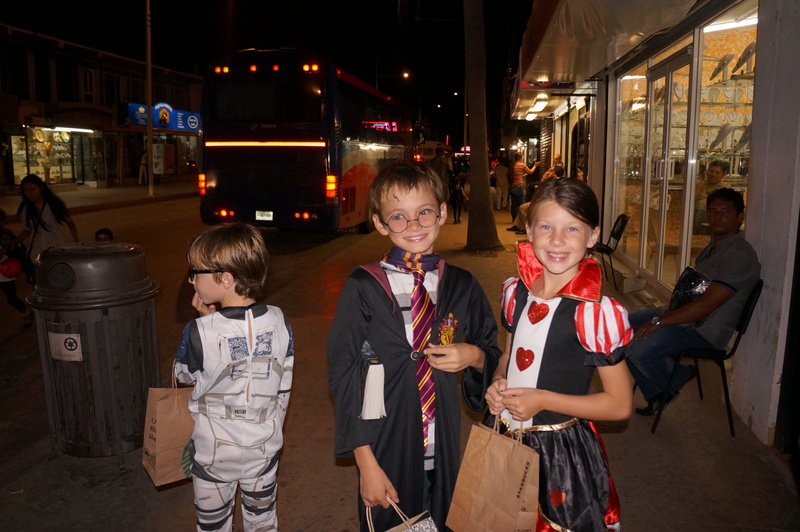 What we didn’t know was that the kids would have the most epic trick-or-treating experience while spending Halloween in Los Cabos, Mexico. Will we get to trick-or-treat tonight? 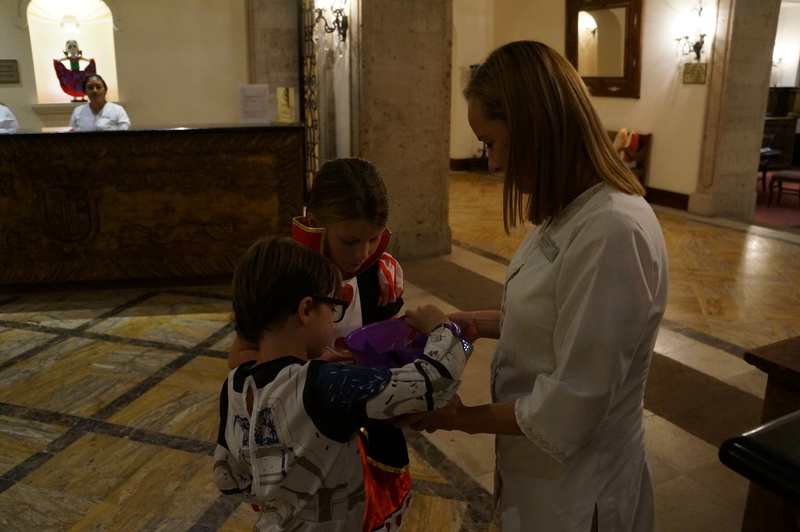 When we arrived in Los Cabos the afternoon of Halloween, we enjoyed a delicious lunch before spending the rest of the early evening on the beach and in the pool of the Sheraton Hacienda del Mar Golf & Spa Resort. 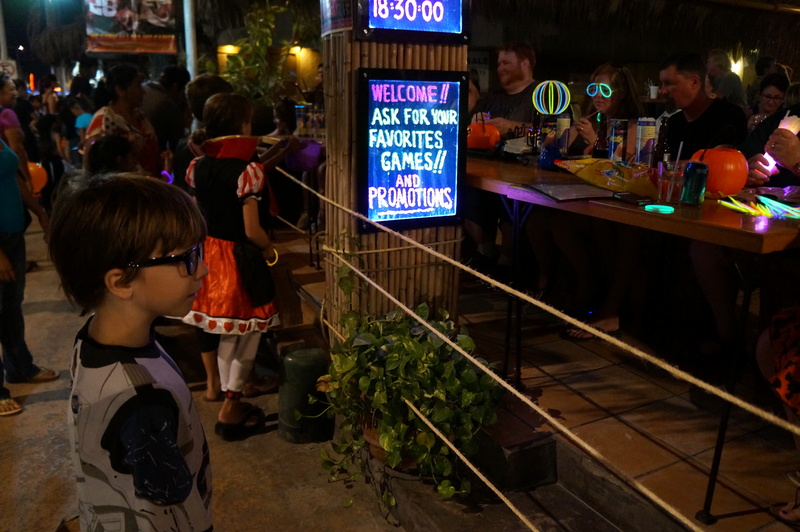 I had packed the kids their costumes just in case the hotel had planned a Halloween event, but upon arrival, we learned that the kids had already missed the activities. 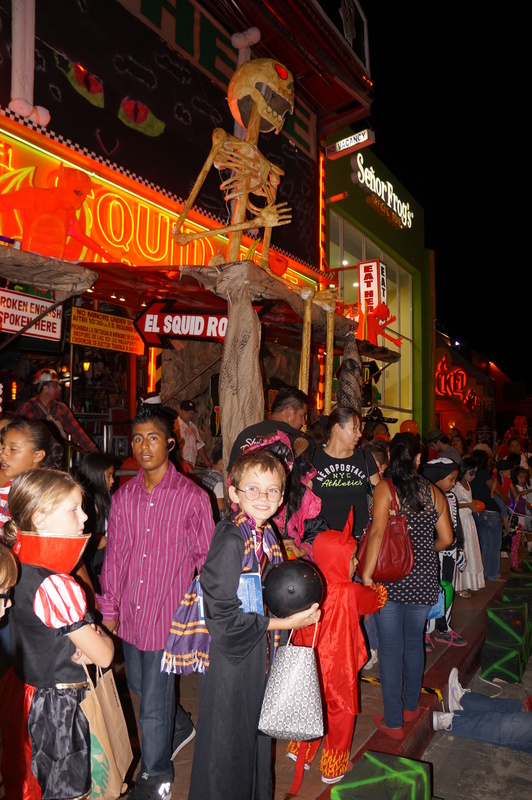 While in the pool, with other guests, we were told that downtown Cabo San Lucas is one of the best places to celebrate Halloween with your children. 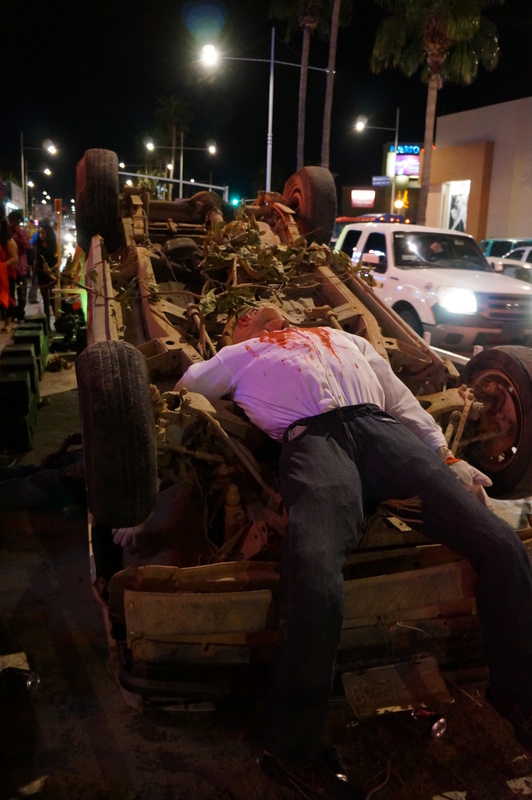 We ran to the room – got the kids into the their costumes – headed to downtown Cabo San Lucas in a cab. 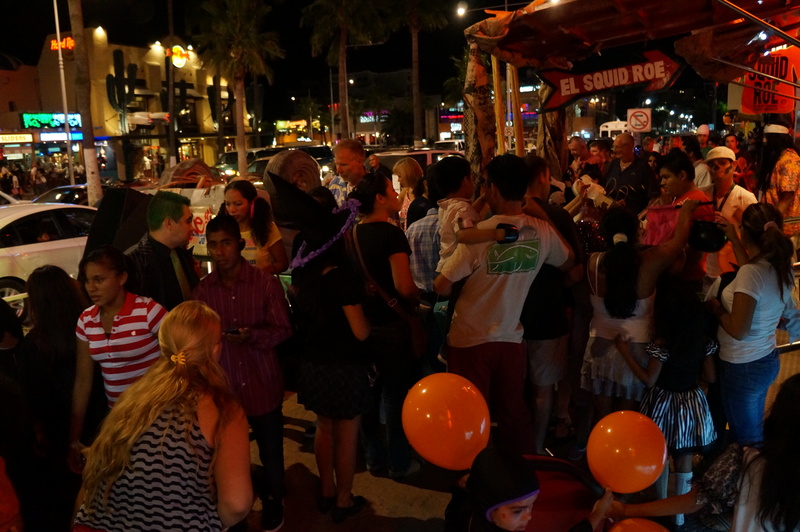 When we first arrived in downtown Cabo San Lucas, we immediately saw an epic celebration happening. 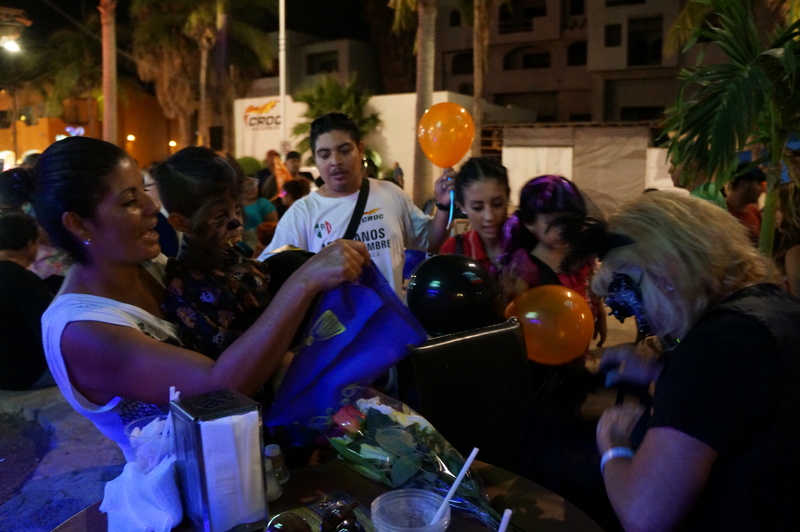 The kids barely could contain their excitement as they saw hundreds of children trick-or-treating with the local businesses and tourist along the streets of Cabo San Lucas. The minute we took a step outside of the cab we were immersed into a truly authentic experience that my children will never forget. 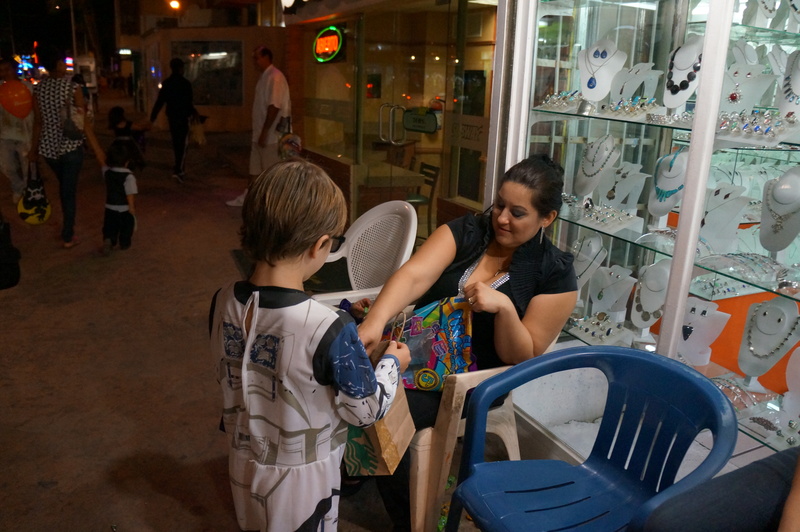 They got to make friends with many of the local children while trick-or-treating throughout the city. 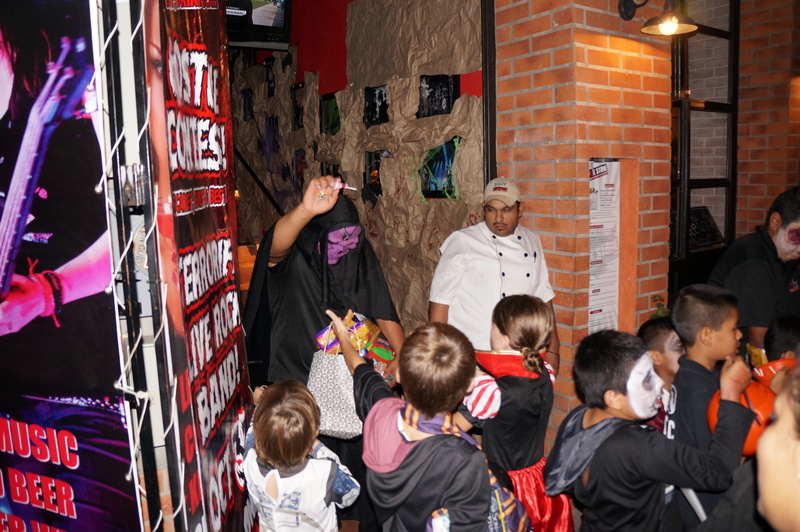 They walked around restaurants where guests who were dining had huge bags of candy to pass out to the children, saw unique decorations, and enjoyed some good old fashioned fun. 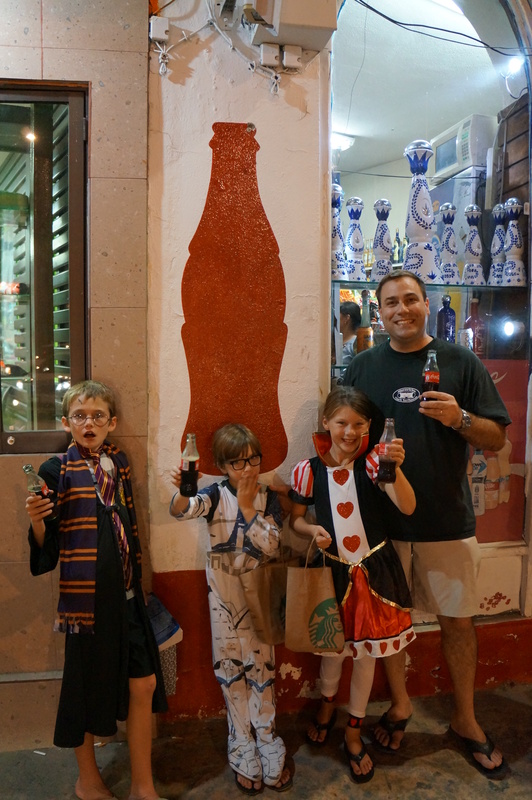 Celebrating Halloween in Los Cabos ended up being the best Halloween we have ever experienced with our children. 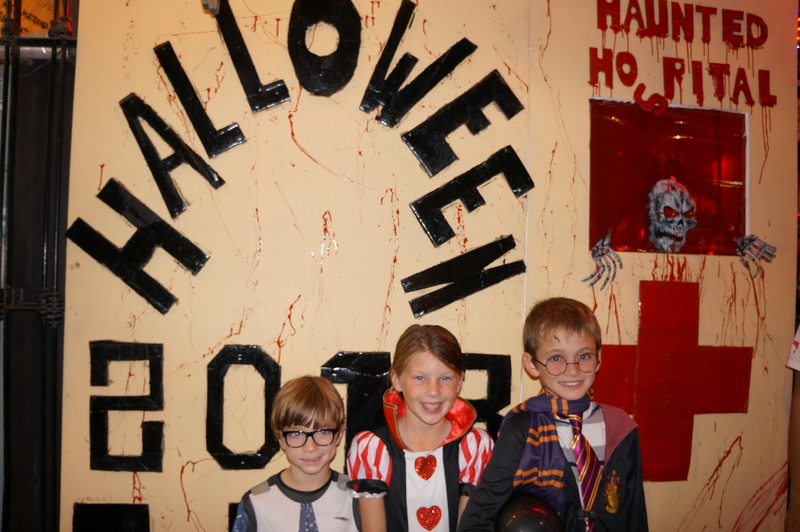 While we went on our trip thinking that they would not have any time to celebrate Halloween, they ended up creating lifelong memories that they will share with future generations of our family. 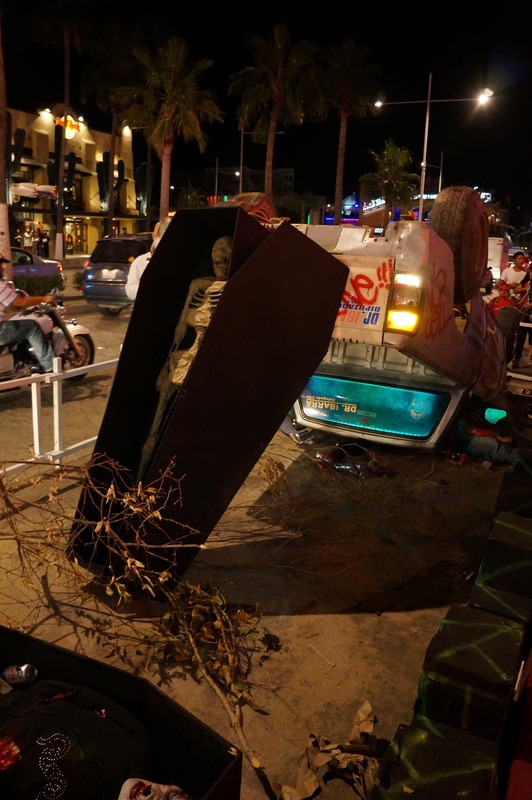 Are you planning a trip to Los Cabos during Halloween? If you have younger children like our family, I recommend just immersing yourself in the experience. For those who do not have children, get a table at one of the restaurants with an outdoor patio. 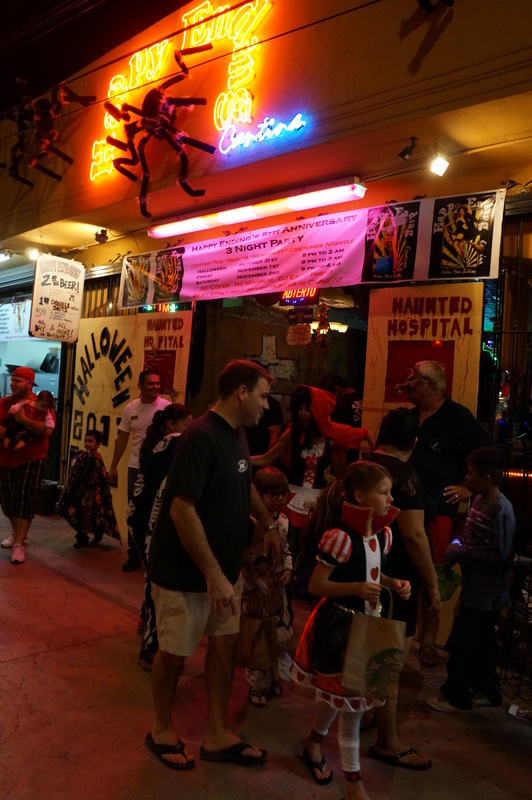 Bring (giant bags) of candy, and get ready to pass out candy – more candy than you have ever passed out before! How neat! Memories they will brag to their own children someday!Really cool. It was a pleasure meeting your whole family in Cabo this past week! Your family is just adorable! Hope to see you all again!